Here are another batch of reviews that were meant to sit alongside an interview that never happened. For one reason or another we just didn’t get it together. Most people know Marble and, though they can occasionally be problematic in bottles they can be fantastic on draught. Personally I love the whole feel of them, the way they’re branded shouts Manchester to me, cool, understated, quietly self assured, highly driven. And that was one of the things I wanted to explore in the interview. 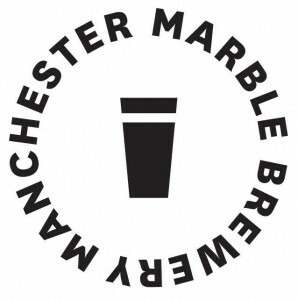 Instead I’ll have to say that there’s something about the design of Marble’s labels and pump clips that reminds me a lot of that (in)famous Manchester institution, Factory Records. Minimal and austere but somehow warm and human too. Here are a few reviews I’ve been saving up. When Marble are good they’re brilliant, and this is one of those times. 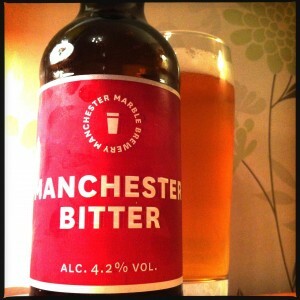 Manchester Bitter is a modern take on a traditional style with a massive mango and grapefruit aroma, big and round and delicious. 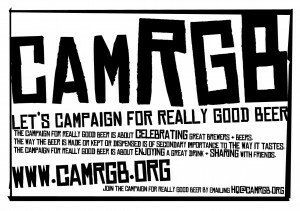 The malts, dripping in honey and toffee, taste for all the world like the Bitter of your youth, but it’s Bitter that’s been kidnapped by 21st Century hops, and they won’t let go. And so there’s a super sharp lemon and lime zest, kiwi fleshiness, sherbet zip, and a clean and crisp elderflower that leaves a long drawn out and extremely dry finish. This is one hell of a good Bitter. This is a big beer in every way. 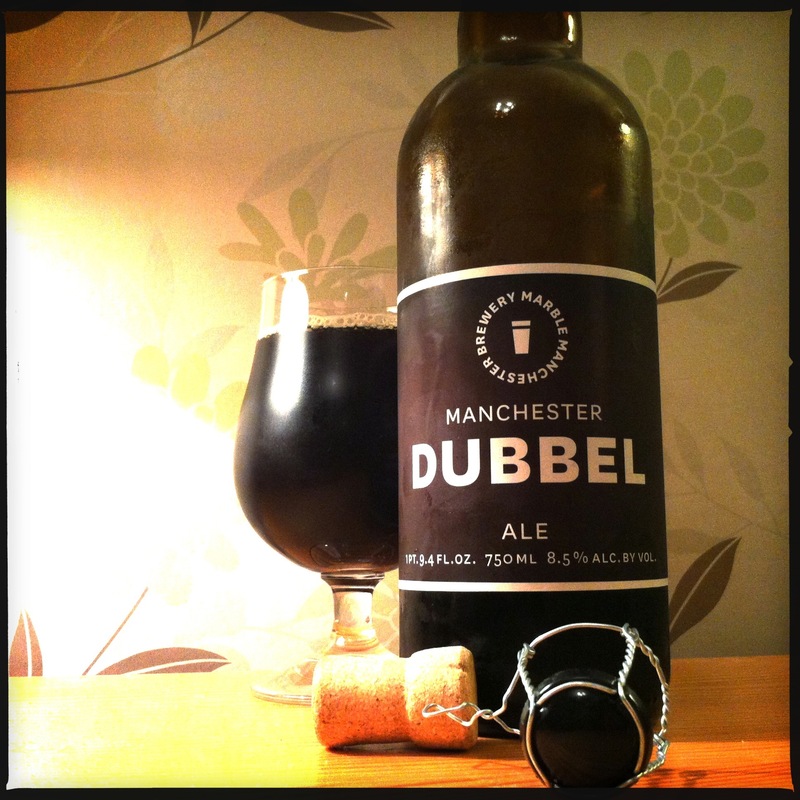 From its 750ml corked bottle to the way it tastes, Manchester Dubbel is big. The aroma is rum sodden plums, apple juice and bran, and just a little blue cheese. Taking a mouthful you get a digestive biscuit background, lots of burned brown sugar, a cereal bar’s crunchy sticky sweetness, black cherries, raisins, star anise, and a hefty brandy kick. The blue cheese found in the aroma pops back up and loiters, providing a slightly creamy fug that thickens all the other flavours up. Washing over this is a good dandelion and burdock earthy sweetness and hops that are at once fresh and sprightly and crisp and brittle with hedgerow leaves. 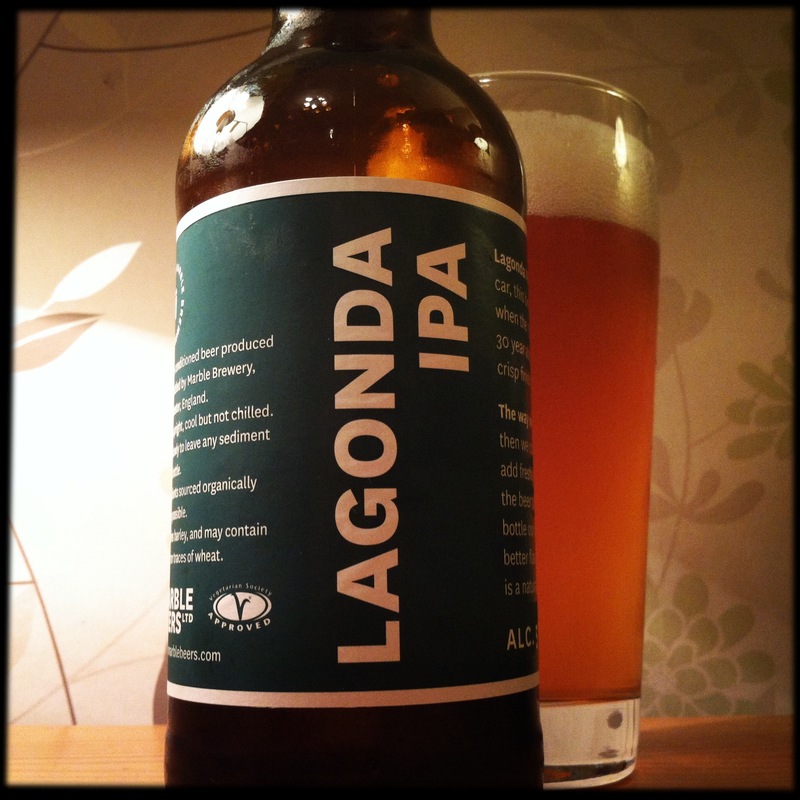 But sadly I tasted all this through a big dose of diacetyl that, by the last glass became all but overpowering and, coupled with the flatness of this bottle, I’d suggest that it needs a lot more conditioning before being unleashed into the wild. In a single mouthful this has become one of my favourite Marble beers. 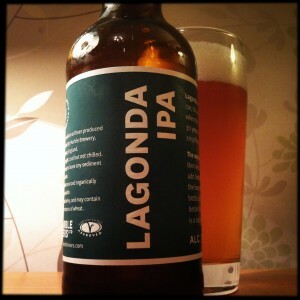 Lagonda pours a honeyed gold with a feisty white foamy head and smells of sweet shop sherbet, sunny citrus fruits and caramel. I really like the malts here, they’re almost squidgy in their chewy toffee richness, and they have a big surprise in the shape of a hefty clove kick that takes you off guard and makes you have a good look at your glass as you realise what’s going on. The hops are all about the sharp bitterness you want from a good IPA, with lemon rind and lychee dryness, a load of thick kiwi flesh and the almost clichéd sugar sprinkled grapefruit. The finish here is full of chewy penny sweets and sherbet sparkle and that clove edge keeps popping back up to surprise and delight. You can’t argue that Marble’s cork stoppered 750ml bottles aren’t lovely to look at, but I have occasionally been a little disappointed by that’s contained in them. 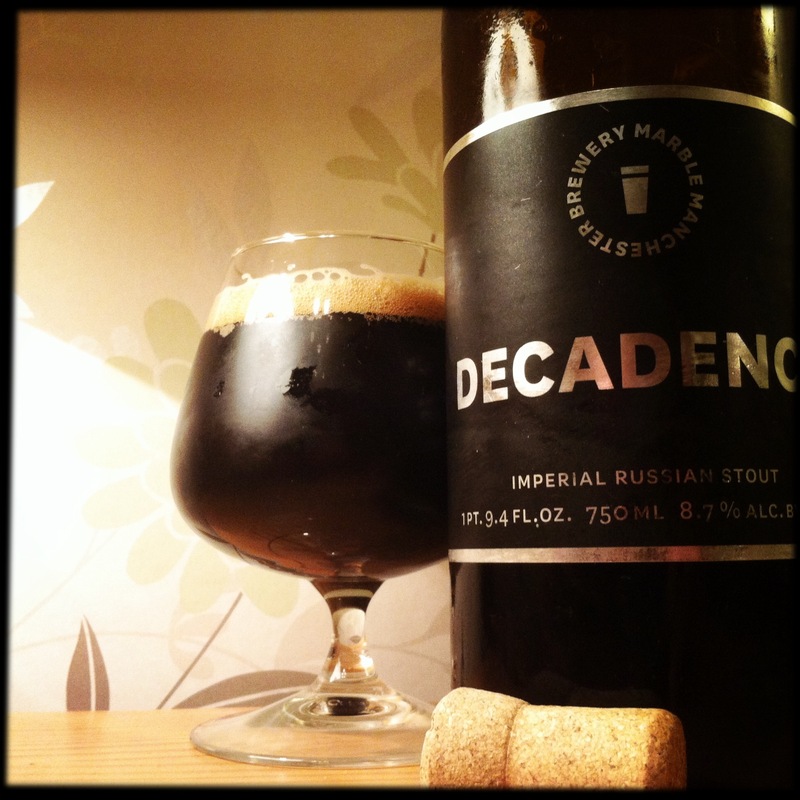 With Decadence however I needn’t be concerned as this is a really good Imperial Stout that pours black hole deep with a foamy ring of a head and a smell that’s full bodied and meaty and doused in coffee. The malts are every bit as big and dark as you’d hope, with lots of bitter chocolate, freshly brewed espresso and plums drowned in rum. The hops here aren’t big and bolshy in any way, and instead they almost hide in the background providing a snappy, barky, woody brown and crunchy undertone over which the malty digestive biscuit drunk on brandy continues to play around your tongue. This is quite a boozy drink and it warms you through while the finish hints at a salty Marmite richness just as it goes treacle thick but full of sharp, pointy hedgerow branches. This entry was posted in Beer Review, CAMRGB and tagged 7.5% +, Beer, Beer Review, Bitter, Bottle Conditioned, bottled beer, Brewery, Brewery Interview, CAMRGB, Drinking, IPA, Manchester, Marble Brewery, Stout, Tax. Bookmark the permalink.